Beauty Clinic: Will exercise help with eye bags/shadows? Q. I have under eye bags, puffiness and dark circles, all rolled into one!! Please do you have any exercise that could help to eliminate these? A. To be honest, we are not certain that any facial exercise could help this dilemma. There is a list of possible aggravating factors and pharmacist Shabir Daya suggests you see if you can rule out any of them. • Are you getting enough sleep? • Do you sleep in a well-ventilated room? • Could you be sensitive/allergic to your pillows (some people are intolerant of feathers)? • Do you drink enough water? • Have you thought about any possible food sensitivities? 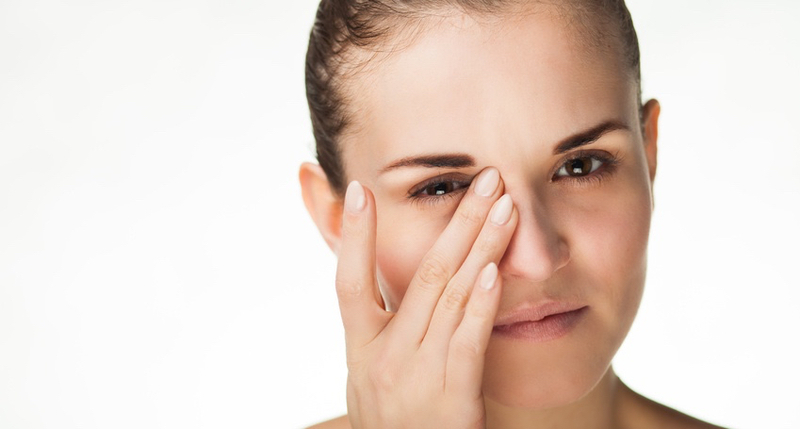 • Do you suffer from hay fever or sinusitis? • Stress, hormonal changes and ageing may also have a role. So, as Shabir Daya says, ‘it is a very difficult concern to address’. However, he suggests a two-pronged approach starting with a supplement called Viridian Nutrition Bilberry and Eyebright/£25.75 for 90 capsules. Secondly, Shabir Daya recommends you consider investing in a serum called NIOD Fractionated Eye Contour Concentrate/£43 for 15 ml, which contains a number of technologies all designed to counter the eye concerns you mention. ‘The feedback is very good from our customers and I believe that the combination of working both from the inside and outside should help alleviate the concerns you mention,’ he says.